Bowers & Wilkins has had an action-packed two years. In May 2016, the storied English loudspeaker maker was bought by EVA Automation, then a 40-person startup run by a former Facebook executive, the stated goal of the acquisition being to marry EVA’s expertise in automation with B&W’s prowess in audio engineering. B&W also launched the 800 D3 loudspeaker, the top model in the company’s flagship 800 Series Diamond line. 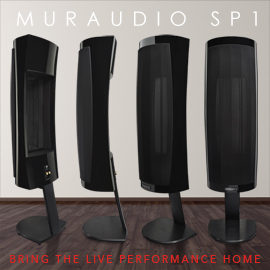 More recently, B&W announced its new 700 Series of speaker models, the successor to its outgoing CM Series. Does the new line continue the magic of past Bowers & Wilkins models, or does it strike off in a bold new direction for one of the high end’s biggest players? The 700 Series is eight models deep: three bookshelf speakers, three floorstanders, and two center-channels. In price, the 700s range from the flagship 702 S2 floorstander ($4500 USD/pair) down to the little 707 S2 bookshelf model ($1200/pair). The subject of this review, the 704 S2 ($2500/pair), caught my eye for several reasons. 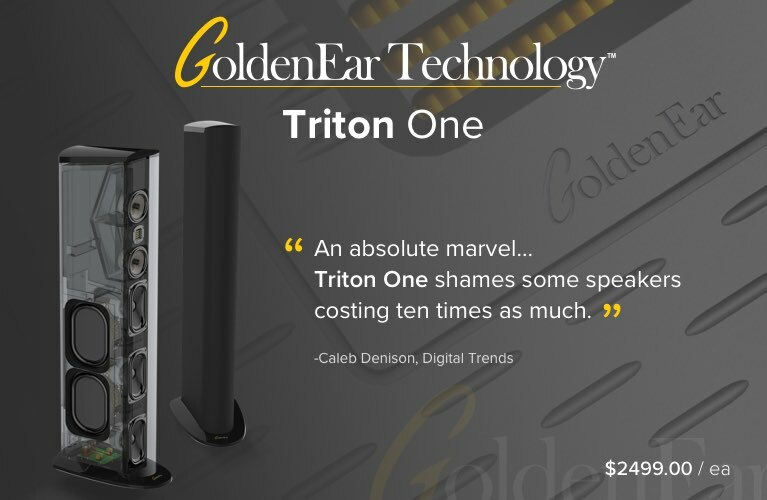 Not only is it the smallest and most affordable 700 floorstander, it’s a three-way design that makes use of all the same technology as the much larger 702 S2, for not much more than half the price. The 704 S2 measures 36.4”H x 6.5”W x 10”D and weighs a solid but manageable 41 pounds. Sitting on its removable plinth (included), the 704 measures 37.8”H x 9.9”W x 10.9”D. The cabinet is internally braced, though not with B&W’s patented Matrix system. The entire 700 range can be had in one of three finishes: Gloss Black, Satin White, or Rosenut, the last a light-walnut veneer. My review samples were in Gloss Black, and while they looked excellent from a distance, the high-gloss finish wasn’t perfect, with a bit of orange-peel effect visible up close. But that’s par for the course for $2500/pair speakers, and the 704 S2s were still quite handsome. Each of the speaker’s four drivers is surrounded by an accent ring of polished aluminum that’s thin and subtle enough not to be noticed at first glance, though you’ll appreciate it as soon as you see it sparkling in just the right lighting. Add to that B&W’s textured gray midrange driver, which contrasts nicely with the all-black cabinet, and the tiny branding of the company’s name on the front, below the bottom woofer, and the 704 S2 has the look of a classy, mature speaker. On the rear panel are a large bass-reflex port and two sets of five-way binding posts. 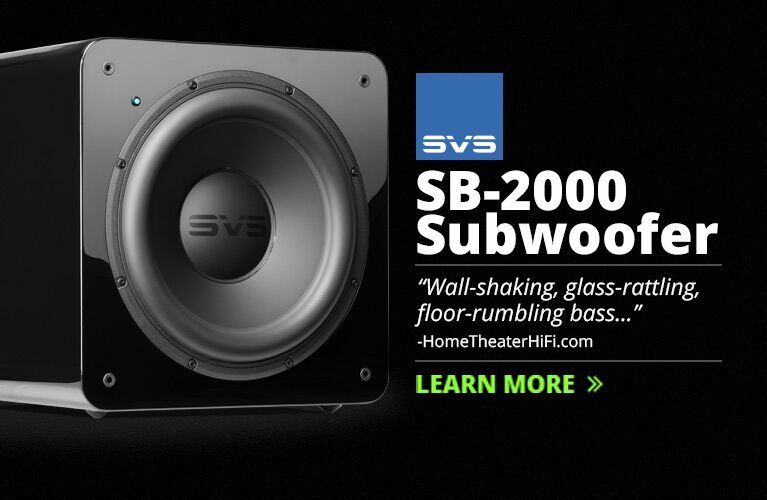 The 704 S2’s dual 5” woofers are also derived from 800-Series drivers. While these are not true Aerofoil cones, B&W claims that the 704 S2’s woofers have an Aerofoil “profile” -- the varying thickness of the driver’s paper diaphragm has been optimized using a computer. Finally, the 704 S2 and the other 700 S2 models have what B&W calls a Carbon Dome tweeter: an aluminum dome only 30µm thick, with a vapor-deposited coating of carbon and a 300µm-thick carbon ring to reinforce the dome’s rear surface. This technology, developed for the 700 Series, is claimed to push the dome’s breakup point up past 47kHz -- remarkably far above the audioband for an aluminum dome. The 704’s crossover network is a bit unusual. The tweeter is crossed over to the midrange at 4kHz in a first-order (6dB/octave) arrangement, the midrange driver to the tweeter and woofers with second-order (12dB/octave) slopes, and the woofers to the midrange at 350Hz with a third-order (18dB/octave) slope. 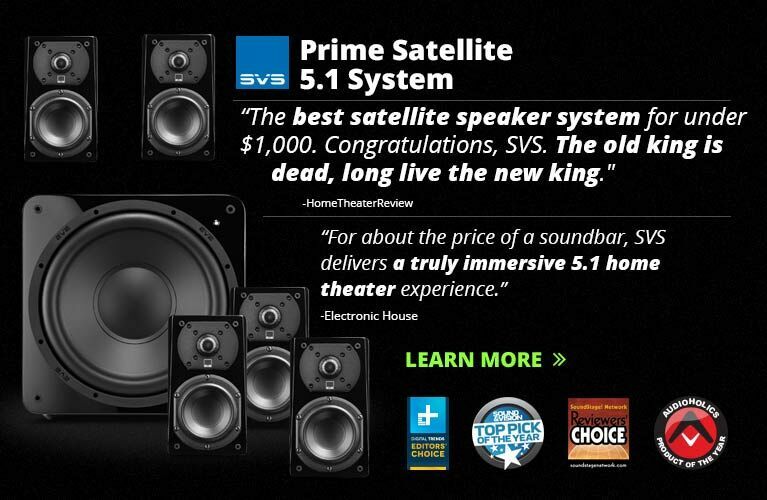 In effect, this means that the midrange cone is responsible for reproducing a greater band of frequencies than the midrange of any other three-way speaker I’ve reviewed. B&W specifies the 704 S2’s frequency response as 48Hz-28kHz, ±3dB, and its frequency range as 43Hz-33kHz, -6dB. 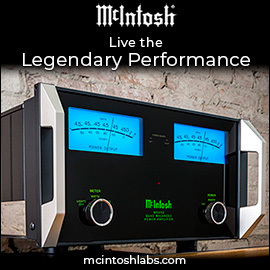 Its sensitivity is a claimed 88dB at 1m, and its nominal impedance is 8 ohms, with a minimum of 3.1 ohms. 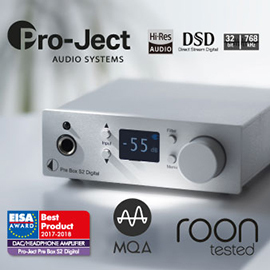 With its recommended range of amplification of 30-150W into 8 ohms, the 704 S2 should prove a fairly benign load for amplifiers (though we’ll see what our measurements of it reveal). Unboxing the B&W 704 S2s was straightforward, and mounting them on their plinths was easy. Per usual, I ditched the included grilles, and so should you. These are good-looking loudspeakers, and short of a rampaging child or a dastardly feline, they should be on display for all to see and hear. 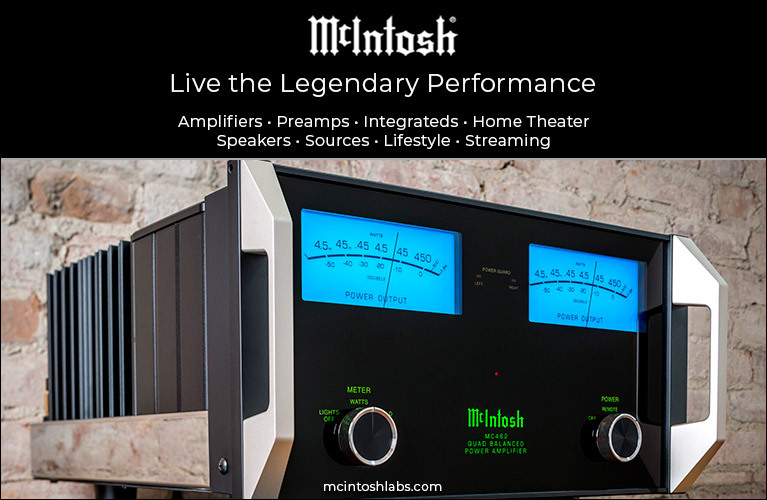 I wired them to my Hegel Music Systems H360 DAC-integrated amplifier with DH Labs Q10 Signature speaker cables, and hooked up my MacBook Pro laptop to the Hegel with a DH Labs Silversonic USB link. The great bulk of my listening was to Tidal streams via the Hegel’s AirPlay input, though I also listened to selections from my own music collection, via Roon. 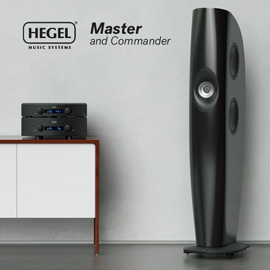 The Hegel was plugged into an Emotiva CMX-2 power conditioner, which helps eliminate the transformer hum that pervades the wiring of my old, inner-city home. I plopped the 704 S2s in the same spots as I have almost all other speakers I’ve reviewed in the past two years: roughly a foot from the front wall of my living room, 8.5’ apart, and 8.5’ from my listening position. Moving speakers an inch or two here or there usually results in optimal sound, but the B&Ws were trickier to dial in. At first they sounded very forward, a bit gutless, and uneven: Women’s voices and violins were too strident, while their upper-bass output was attenuated. Following the advice of colleague Edgar Kramer, who heads our sister site SoundStage! Australia, and who came up against similar problems when he reviewed the 700 Series’ flagship model, the 702 S2, I aimed each 704 S2 straight ahead rather than toeing them in. This resulted in a less strident sound but a collapsed stereo image. I also tried pushing the speakers 6” closer to the front wall, in an effort to get more room gain from their rear-venting ports, but that didn’t beef up the attenuated bass. After much futzing around, the speakers ended up an inch or two farther back than where they’d started, and toed in just a little less than I normally do. This took the edge off the midrange prominence and slightly filled out the bass. My first impression was a bit different. Many of the speakers I’ve reviewed over the past several years have been broadly neutral in frequency response, and differentiated more by their abilities in resolution, imaging, and soundstaging than by fundamental differences in voicing. When I put on “Possession,” from Sarah McLachlan’s Fumbling Towards Ecstasy (16-bit/44.1kHz FLAC, Arista/Tidal), I was taken aback by just how alive she sounded -- her voice leapt from the 704 S2s with vibrant alacrity. This midrange forwardness wasn’t marked by any hardness or brittleness -- in fact, the subtleties of her singing were highly resolved and sounded fairly smooth -- but I thought I heard an emphasis in the upper registers of her voice. The effect was twofold. First, it made for lively, exciting listening, the voices of McLachlan and others popping from the ether in a way that they do through few other speakers at this price point. I’m sure that anyone could listen to the 704 S2s for just a few seconds to appreciate this quality. Second and more important, this effect seemed to tilt the midrange upward, leaving some voices sounding top-heavy and a little thin. Consider Rob Dougan’s vocals in the title track of his Furious Angels (16/44.1 FLAC, Arista/Tidal). His voice is a bit deeper than McLachlan’s, but the recording highlights the strained, angsty feel that Dougan tries to convey. The B&W’s Continuum driver did a fantastic job of capturing his sharp enunciations and the smoky quality of his voice. No doubt, the 704 S2 was light on its feet and lightning quick, yet I felt that Dougan sounded a bit too light -- as if I were hearing more mouth and throat than belly and diaphragm. The closely miked percussion and the wailing female backing singer served only to highlight this, as did the cellos later in the cut, which sounded a bit gutless. The B&W’s reproduction of the midrange was phenomenal in terms of attacks and decays, but it didn’t deliver the heart and soul of this music. For this I suspect that a tube amp, or perhaps a class-A solid-state amp, might be a good complement. “Will You Follow Me?,” also from the Dougan album, gave a more complete picture of the 704 S2’s sound. The speaker spotlit the sailing violins and soaring brass in this instrumental with bell-like clarity, but they ended up overshadowing much of the rest of the orchestra, suggesting elevated output in the presence region (the lower treble). The drumstrokes at the back of the mix were subdued, robbing Dougan’s arrangement of bass weight and impact. On the other hand, the B&Ws threw out a huge soundstage, and created a well-defined stereo image. They were also quite transparent -- I could hear deeply into Dougan’s orchestral arrangements with little effort or strain. How ’bout that bass? Well, when I cued up “Rise,” from Hans Zimmer’s original score for The Dark Knight Rises (16/44.1 FLAC, WaterTower Music/Tidal), I was rewarded with plenty of deep bass. I was surprised at how deep these slender towers were able to dig, and bass lines sounded taut. But as impressive as the B&Ws sounded in the midbass, they weren’t particularly punchy in the upper bass, where the foundational energy of most pop and electronic music resides. Listening to “Love in This Club,” from Usher’s Here I Stand (16/44.1 FLAC, Arista/Tidal), I found myself loving the B&W’s reproduction of Usher’s sprightly, high-pitched singing, but was left wanting more punch and impact down low -- the track sounded a touch lightweight. Contrast this with “Blouson noir,” from AaRON’s We Cut the Night (16/44.1 FLAC, Birds in the Storm & Kid 74/Tidal), which harnesses the infectious hook from Usher’s smash hit. The hook starts from nothing, slowly increasing in volume before the entrances of a pulsing, driving bass line and AaRON’s voice. I could feel the power of the synth, and that solid foundation allowed me to focus on the glorious stereo image, which dripped with microdetail and palpability. 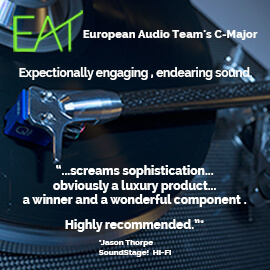 This duality proved frustrating over extended listening sessions, as the 704 S2s sounded sensational with certain tracks, particularly those with strong central vocals that let its Continuum midrange driver express itself. But other cuts left me unsatisfied, with critical parts of the music underemphasized. I suspect that the larger floorstanders in the 700 Series, the 703 S2 and the flagship 702 S2, would go some way toward producing more robust, evenhanded bass -- but during my time with it, the 704 S2’s magical Continuum midrange proved maddeningly mercurial. I’ve just reviewed Elac’s Uni-Fi Slim FS U5 ($1499.96/pair), and while most audiophiles probably wouldn’t be trying to decide between these two loudspeakers, the Elac offers an interesting contrast to the B&W 704 S2. Like the B&W, the Elac is a slender, three-way tower speaker, but there the similarities end -- the Uni-Fi Slim FS U5 has a coaxial driver in which a 1” soft-dome tweeter nested inside a 4” aluminum midrange cone is supported by three 5.25” aluminum-cone woofers. Though the Elac doesn’t benefit from the B&W’s unique tweeter and midrange diaphragms, I found it an excellent performer overall. While the 704 S2 seemed to suffer from a “tilted” midrange, with emphasized upper-mids and presence regions that gave all recordings a sheen of brilliance and splash at the expense of fullness and heartiness, the FS U5 sounded much more even in tonal balance. Voices were notably fuller and richer through the Elacs, and while this speaker, too, seems to have an upper-midrange emphasis, it was far subtler than the B&W’s. The Elac’s bass performance was also more even, with punchier upper bass and smoother, cleaner extension down into the 40-50Hz range that is also the bottom of the B&W’s output. In many ways, however, the FS U5 couldn’t keep up with the 704 S2. The Elac’s soft-dome tweeter sounded rolled off and a bit polite, resulting in a soundstage that wasn’t particularly deep, and with a slightly warmer, more intimate sound overall. The B&Ws, by contrast, sounded huge with such tracks as Rob Dougan’s “Will You Follow Me?,” their carbon-coated aluminum tweeters producing both a greater sense of space and a more resolved patina on instruments and voices. I also preferred the B&W’s delightful midrange, if only for how clean, fast, and resolving it was. I said in my review that I thought that “everyone will like the way the Elac sounds” -- though I’m not sure how many will love it. I think what the B&W 704 S2 will inspire in its devotees is love. Bowers & Wilkins’s 704 S2 loudspeaker doesn’t offer the ruler-flat frequency response boasted by some of its competitors. But if it did, would it be a proper B&W product? No, the smallest tower model in B&W’s new 700 Series is a beautiful, well-built loudspeaker that sounded sensational with the right material, and never failed to keep me engaged, whether as reviewer or as listener. It’s not for everyone, but I suspect that for certain listeners it will be enduringly satisfying. Price: $2500 USD per pair.